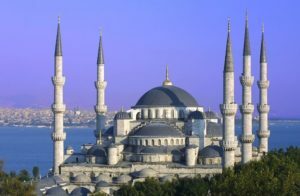 Pinch me…I am soon visiting Turkey with a special group of travel advisors, led by my industry rep for Intrepid Travel. Peragrine Adventures is their upscale division, and I am so excited…and a lucky girl! I invite you to follow the adventures via social media…the most consistent posting will likely be on my Facebook wall so follow Bobbie Rae Murphy, if you don’t already. I will also try to share the trip on Active Travel Pro as well. I hope you will join in the conversation as we embark on the amazing day-by-day itinerary below. And it’s totally okay by me if you wish to live vicariously through our group experiences, but if it calls you as it did me, I will love to help you make the dream a reality when you are ready! I think the place I am most excited to see is Cappadocia and especially my optional excursion by balloon in the early morning light. Praying the weather will allow it that day, of course. If not, I am certain another equally amazing adventure will unfold for me. Other highlights: The Day 5 Christian historical town of Ephesus, the Istanbul Grand Bazaar, and of course, the Blue Mosque. But read on! Welcome to Istanbul; the continent-straddling metropolis that the Greeks, Romans, Byzantines, and Ottomans have called home. Your welcome meeting will be at 1pm today. If you can’t arrange a flight that will arrive in time, you may wish to arrive a day early so you’re able to attend. We’ll be happy to book additional accommodation for you (subject to availability). If you are going to be late, please inform your booking agent. We’ll be collecting your insurance details and next of kin information at this meeting, so please have these on hand. 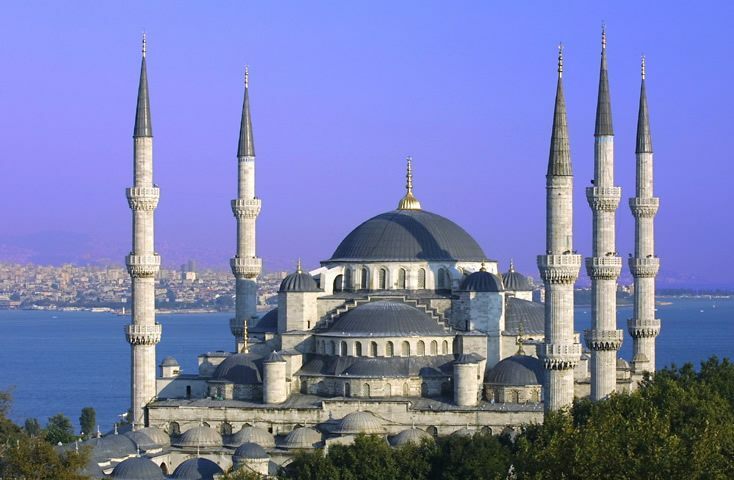 Later we head out to explore the Old City of Istanbul including the Blue Mosque; Hippodrome and the Grand Bazaar. This morning after breakfast we transfer to the airport for our one-hour flight to Bodrum. Please note that Istanbul has two airports and the departure airport will depend on flight schedules. On arrival transfer to your hotel for check in. Once known as Halicarnassus, the Turkish port of Bodrum sits along the deep blue southern end of Turkey’s Aegean coast. Home of the original Mausoleum, one of the Seven Wonders of the World, as well as the Castle of St Peter, a Crusader fortress which now serves as the world’s foremost Museum of Underwater Archeology. This afternoon, take a stroll around the harbor and visit St Peter’s Castle, the Underwater Archeological Museum; Mausoleum of Halicarnassus the Ancient Theatre and Mindos Gate Perhaps we will finish at Cevat Şakir Cadddesi. The surrounding alleys and streets off this main thoroughfare host the local fish markets and there are several Meyhanes (taverns) where you can select your own catch of the day and have it prepared for dinner. 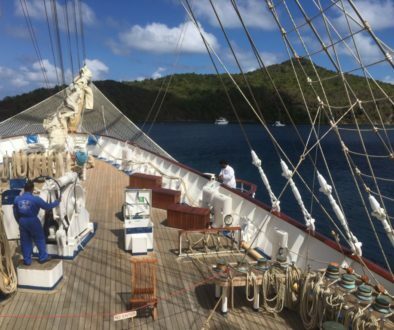 Today we find out what makes this a boating paradise and enjoy a day sailing the beautiful peninsula in a traditional gullet. Marvel at the sun-soaked coastline as you sit back on the deck of your boat. The boat will stop at pristine spots to snorkel, swim, and walk and even takes a break at the island of Kara Ada renowned for its mineral rich waters. Enjoy a lunch on board and a relaxing afternoon before returning to your hotel this evening. jewelers and authentic clothes stands. Enjoy a special Peregrine Moment as we meet Pervin and learn the art of Manti (Turkish Ravioli) whilst relaxing over a glass of the local fruit wine. Early this morning we beat the crowds and head to Ephesus, one of the best-preserved classical cities in the Eastern Mediterranean and arguably the greatest Greco-Roman site in the world. Tour around the Amphitheatre, stroll the marble streets once walked by Cleopatra and Mark Antony, and marvel at the gymnasium, baths and beautifully restored Library of Celsus. 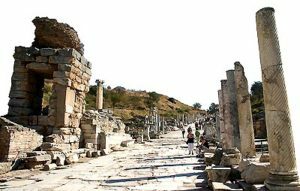 Later return to our hotel for some relaxation before checking out and heading to the Ephesus Museum, this small but well set out museum will piece together the history from your visit to Ephesus earlier in the day. Early in the evening we transfer to Izmir for our overnight train to the Central Anatolian City of Konya the bread basket of Turkey and one of our most conservative cities. 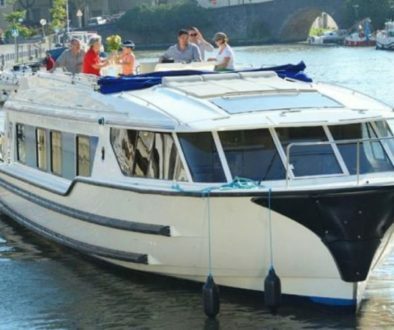 First class two berth sleeping couchettes have been reserved, each compartment has a refrigerator, wash basin and plenty of room for luggage. Linen is supplied and there are modern toilets at both ends of each carriage. There is a restaurant car and dinner this evening is included as are Backgammon Lessons complements of your Peregrine Leader. Our planned arrival to Konya is 0730. We arrive at 0730 this morning to Konya, an ancient city important in Roman times, and where the mystic Sufi practice of ‘whirling’ originates. There is nothing like a full Turkish Kahvaltı (breakfast) to prepare us for big day. After breakfast you’ll visit the mausoleum of the famous mystic Mevlana, the museum housing manuscripts of his works, as well as various artefacts relating to the mystic sect before driving three hours to Cappadocia. The Cappadocia region. 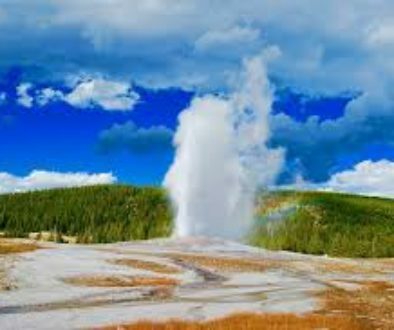 has long fascinated the traveler; a series of volcanic eruptions resulted in the area being swamped in ash, which then hardened to form a porous rock. The elements carved the terrain into the odd fairy chimneys, and later the inhabitants discovered they too could carve the rocks – even into homes and churches. On arrival check into your hotel and then head out with your Leader to stretch your legs on a valley walk, it may be red valley, or love valley, each leader has their own special places to introduce you to. Without a doubt, one of the most amazing memories of this journey is a hot air balloon ride over the majestic landscape to see this otherworldly scene at sunrise. Those who are interested in this optional extra will have a truly awe-inspiring experience. The cost of this activity varies depending on what type of flight you choose. This activity can only be booked locally. Please speak to your trip leader on Day 1 to organize this. 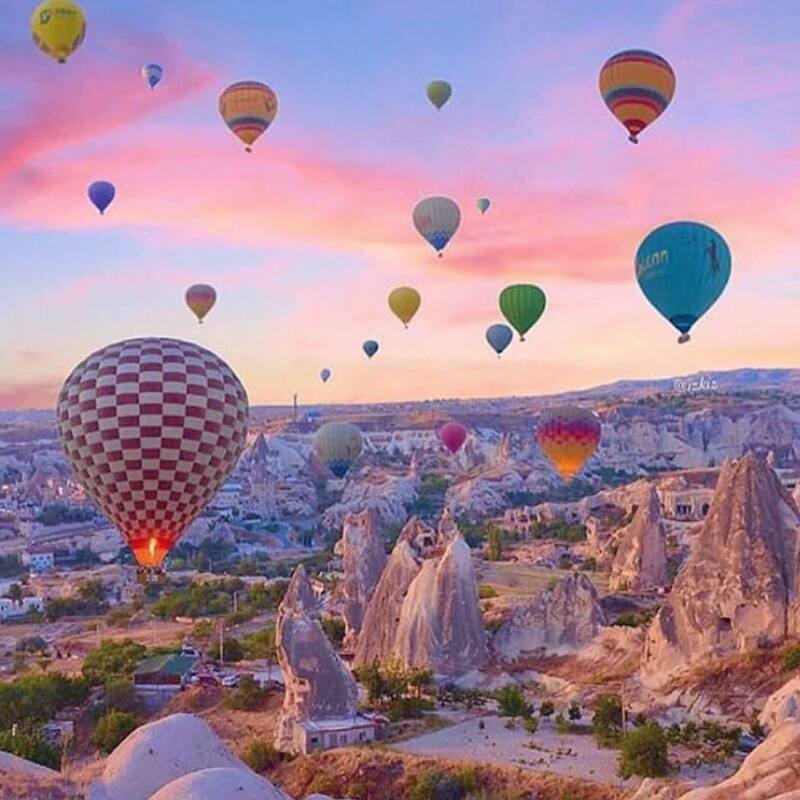 Early birds have the option of taking a hot air balloon over the otherworldly Cappadocian landscape. The scene at sunrise is sure to take your breath away. After a relaxing breakfast from your Terrace overlooking the valley we visit the Goreme Open Air Museum. See the many incredible houses, churches and monasteries carved out of the soft cliff face. The Christian sanctuaries contain many examples of Byzantine art, cave chapels and colorful biblical frescoes from the 10th–12th centuries. Later in the afternoon, you’ll go underground as we make the short Journey to Kaymakli to find out what life was like underground. Then head back to your hotel in Goreme. Perhaps take an optional Turkish bath to unwind at the end of the day. Your Turkey tour will come to an end this morning after breakfast. Peragrine Adventures will handle all the details for us, and it is going to be nothing short of amazing. You will need a VISA if you are from the US, and the process now in 2018 is extremely easy…$20 and a few minutes on your device. The conversion rate of $US currently is slightly over 6 Turkish Lira, so expecting some nice bargains while shopping here this fall! And just another glimpse for you into the company below: Their philosophy of Responsible Travel. – Consider offsetting your flights when you book your trip/flights with us or your travel agent. – Bring a refillable water bottle and some water purification tablets (or a Steripen) to cut down on plastic bottle waste. – Be an animal-friendly traveler. Only go to venues that respect animals by allowing them to live normally in their natural environment. Steer clear of venues that use animals for entertainment or abnormal activities and/or keep animals in poor and unnatural conditions. – Eat at local restaurants, buy from regional artists and support social enterprises so you can contribute directly to locals and their economy. – Always be respectful of local customs and ask permission if you want to take a photo of someone. – Learn a few words of the local language and engage with the people around you. – Carry a cloth or re-usable bag so you can avoid plastic bags. – Give back by donating to a local project via The Intrepid Foundation. PS I will share my personal experiences in Turkey in my next blog entry…stay tuned!